Marla Ilona is a management consultant specialized in organizational transformation who helps large global corporations implement change. She lived in France for 25 years and recently relocated back to the United States. Marla is a born-again Christian who for many years was a seeker of truth down many wrong paths. “I was a successful management consultant working in Europe for large global corporations, helping their leaders to implement major change. Over many years of consulting engagements I became highly specialized in leading large corporate transformational programs, with emphasis on the leadership, organizational and communication aspects of change. But I was walking in spiritual darkness. When my spirituality started to awaken I unfortunately became heavily involved in the New Age. Thanks to a praying family the Lord brought me out of France and back to the US. It was in America that I finally came to know the true God and His Son Jesus Christ, the only way to the Father. City Bible Group’s mission is to unmask Satan’s lies and wonders, who would deceive if it were possible even the very elect. “Our message is based on Bible truth and not always politically correct. I don’t teach my opinions but the undiluted truth of God’s Word. My podcast is for people who are looking for straight answers to the tough spiritual questions faced by earth’s last generation”. 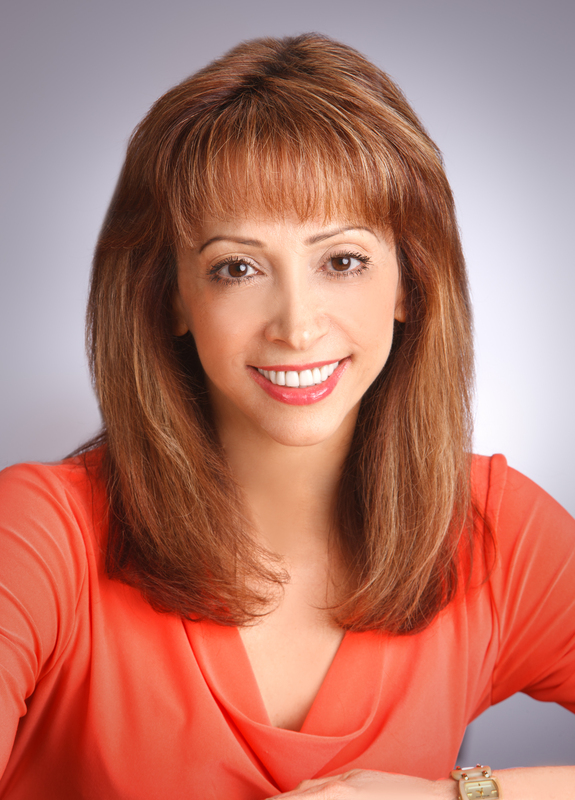 Marla Ilona is the producer of “Setting the Record Straight: God’s truth for this generation“, a podcast series with thousands of listeners around the world. We have significant audiences in the USA,UK, Canada, South Africa and Australia. Our audience is growing in many other countries around the world. 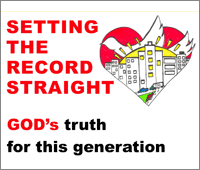 “Setting the Record Straight: God’s truth for this generation” is available on iTunes, Stitcher Radio, iHeart Radio and other major podcasting platforms. You can also stream the podcast directly from our website. Click on the “Podcasts” tab and choose any of the podcasts featured. Our podcast series begins in heaven where everything started, including sin. (Listen to episode 001 – The Origin of the Great Conflict“). “Setting the Record Straight” traces the consequences of sin on earth and lays out God’s beautiful Plan of Redemption through a series of episodes on the Sanctuary series titled “Messiah’s Calendar”. The show also explores the many facets of the conflict between good and evil, such as climate engineering, gay relationships and many others. In other programs we focus on the life-or-death choices faced by our end time generation, such as the Sunday lie and the mark of the beast. 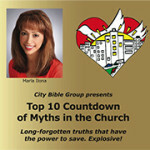 Of special interest is the two-part series “Top Ten Countdown of Myths in the Church”. In the “The Top 10 Countdown of Myths in the Church” (available for free download in E-book format) we examine important theological issues that have been the object of much misinterpretation in the Christian world and which are critical to salvation. We have joyfully accepted the Lord’s calling to set the record straight so that you may not perish for lack of knowledge.